Basic Matlab Program-To Start With! Global Extrema of Quadratic Eq. SMD LEDs Basics and Applications! Multi Color LEDs-A Beginner's Guide! Web Tips n TricksRead Us! How to Remove Blogger Attribution! How to Remove Blogger NavBar! MATLAB's Mobile application is available on Google Play and iOS App store. And thus it is now very easy to access the MATLAB interface on the go! It gives 2 option to work with. 1. Connect remotely to your PC's MATLAB installation (Which would be more convenient if you want to access your files, perform heavy computations, and inside a private network like while roaming inside your university). 2. Connect to Mathworks MATLAB Cloud service ( Convenient if you got a stable working internet connection and perform soft computation tasks-If you run computation extensive script you have to wait very long to see any output, this would be annoying in most of the cases). For this, you need a MathWorks account, not necessary to get a licence for using MATLAB functions. So what are the Features of this app? 1. You can use the command window like interface to perform quick calculations. 2. 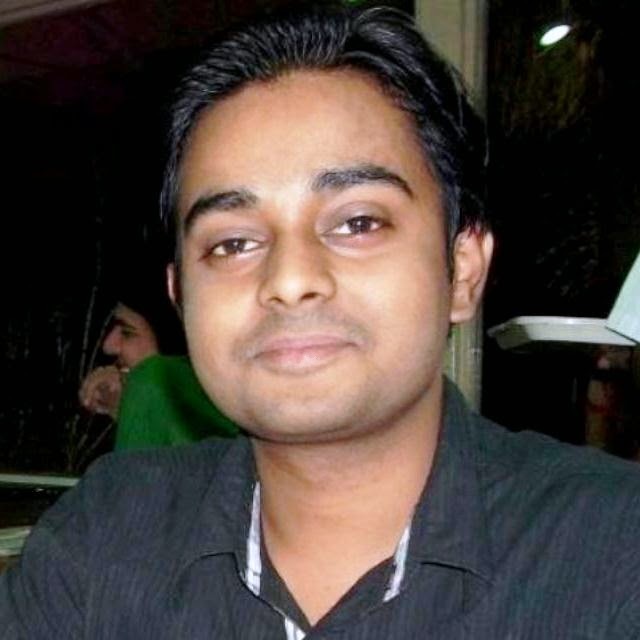 You can create, edit, save and run MATLAB script. Using MATLAB cloud option will let you save the files online! 3. You will get some online file storage facility. In case you got a MATLAB's licence, then you can add that in the App which will give you an option to acquire and save the data from Mobile Phone's/Tablet's sensors! Also some additional space for use in MATLAB Cloud. 1. Click on "Connect to MathWorks Cloud" button. 2. 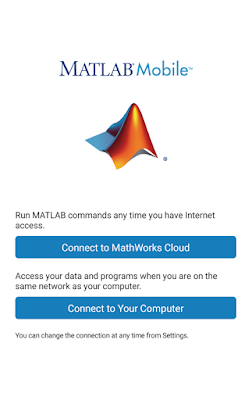 Login with your Mathworks.com user id and password. Assuming you are on a local network. 2. If it's the first run of this command then you need to specify an alphanumeric password for it. 3. After specifying the password, press enter. You will get a Message like this. the correct one, see Determining the DNS Name or IP Address of a Computer. The connector service is running. 1. Click on "Connect to Your Computer" button. 2. Enter The IP-Address, Port as: 31415 and Password which you have specified. 3. Enter a nick name of the PC. (Any name will work). The connection will be done and you can now access your PC's MATLAB files as well as the files in the work folder. While running MATLAB App your device will not go automatically to sleep, unless you do it! With some limitations relating to MATLAB App installation, MATLAB Figure editing, this is indeed a handy tool for MATLAB users to begin with! Digital iVision Labs by Team Digital iVision Lab is licensed under a Creative Commons Attribution-NonCommercial-NoDerivs 2.5 India License. "Author Name. Title of Article/Code_page, Link of the Article/Code_page "
*Due to Increase In Server Cost, We will now display "infolinks" ads, Please be with us. How Do 3.5mm Jacks (TRS Connectors) Works? Copyright © 2013 Digital iVision Labs!